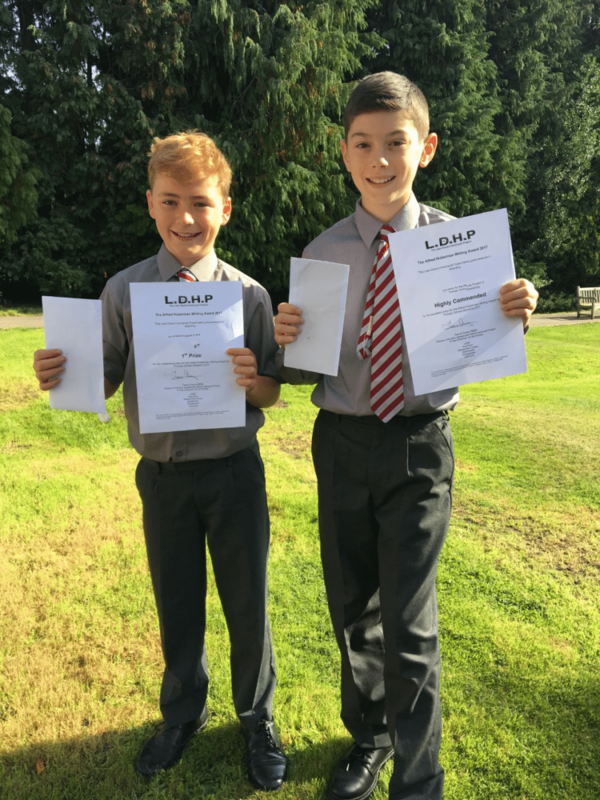 Congratulations to Two of our Lower Sixth pupils; Thomas (1st Prize) and Theodore (Highly Commended), who have today been announced as winners of the national Alfred Huberman writing project. Pupils entered the competition as part of their work on the Arthur Ransome Theme in IT & Art. The award was established in memory of Alfred Huberman – who as a child was sent to a Polish concentration camp – to encourage young people to learn the lessons of the holocaust and ensure that its horrors are never forgotten. The award is promoted by the Lake District Holocuast project. More than 500 entries were received this year, and the judges described Thomas’ words as particularly moving.